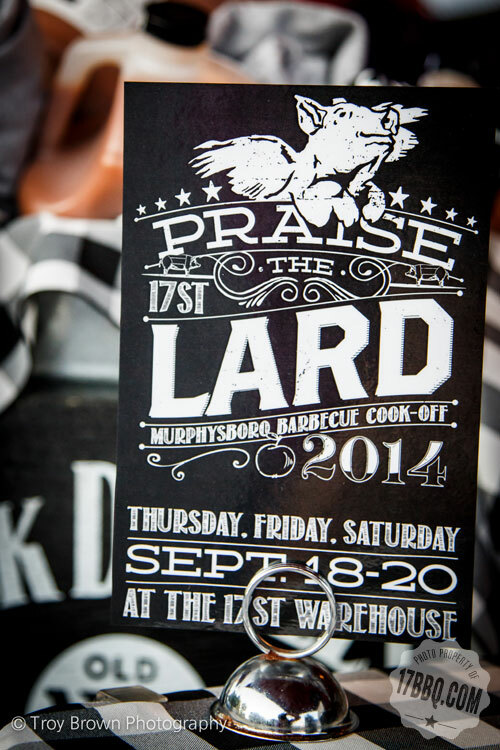 Catching up and capturing some memories from our 28th annual Praise the Lard® Murphysboro Barbecue Cook-off back in September. These unique blown glass apples are crafted for us by the Douglass School Art Place, a nationally renowned glass studio in Murphysboro. 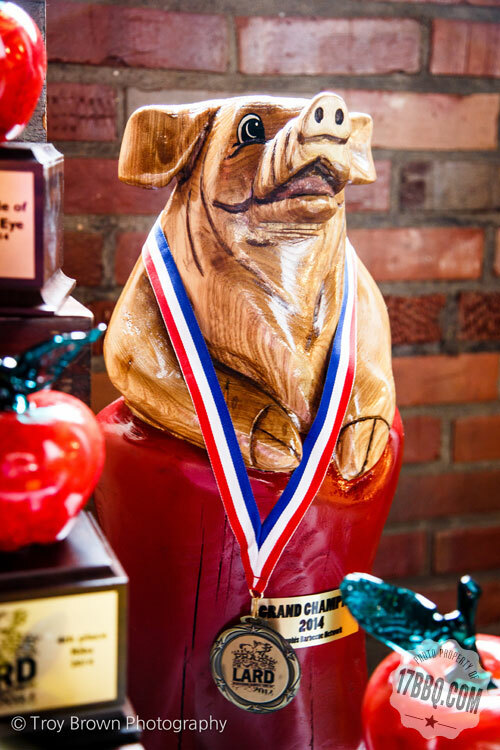 Both the KCBS and MBN Grand Champions received one of these chainsaw-carved pigs, created by Bear Tracks of Brownstone, Illinois. Thanks to Matt Price and Arthur Agency for creating our logo and graphics. People kept stealing the posters and table tents — the sign of a popular design. 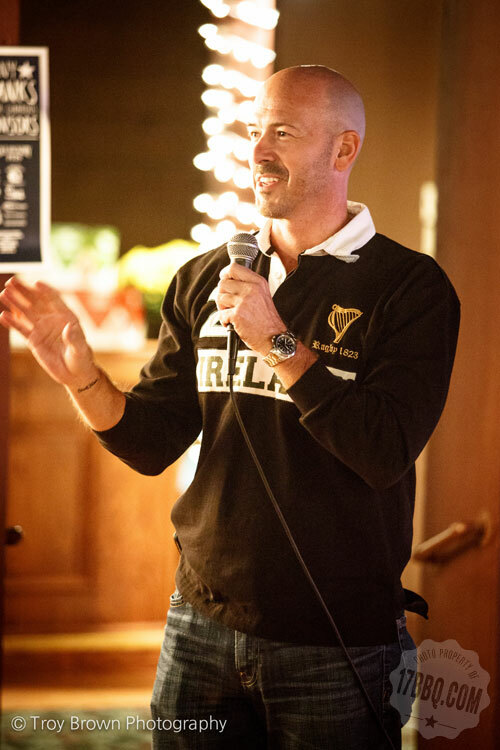 Mike McCloud of MMA Creative in Nashville was on hand as creator and host of the World Food Championships super regional which we hosted during our event. 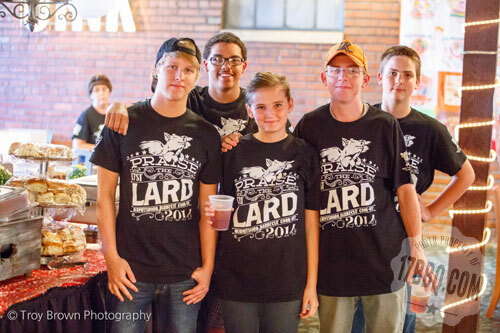 Local cooks and teams competed in three categories, vying for Golden Tickets to the finals in Las Vegas. 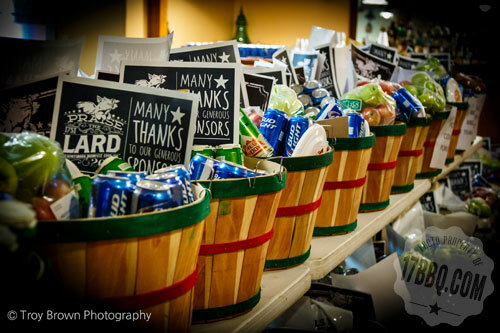 Each team took home one of these hospitality baskets, filled to the brim with delicious Mileur Orchards apples, apple and peach butter, and Alto Vineyards wine, along with cases of beer, soda, Rule of Pie apple hand pies, moonshine, and bags of Royal Oak Charcoal. 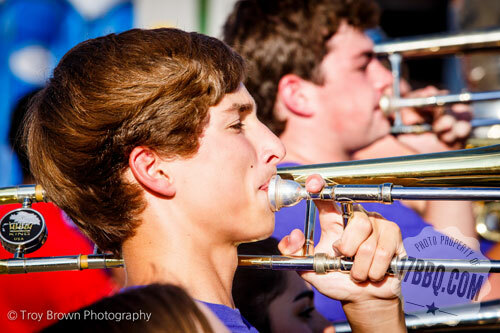 We’re known for having some the best swag on the circuit. It takes two people to carry them back to the cook site. Mike and the Luckhart girls on the way to the Dairy Queen. Sweet. 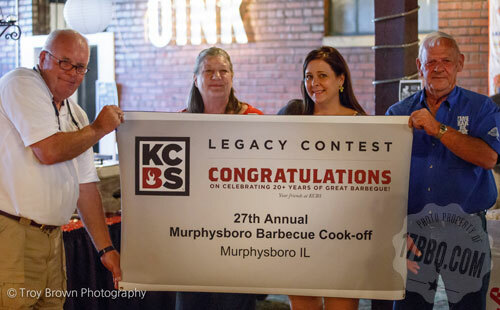 The Kansas City Barbecue Society honored us with Legacy Contest designation. 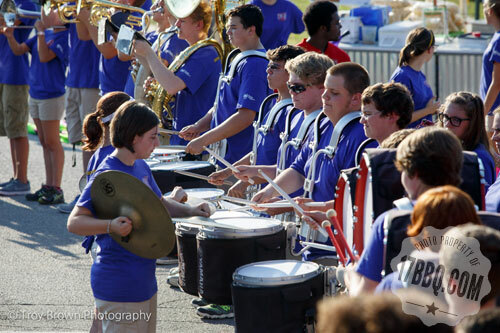 … and they marched through the midway as their grand finale. 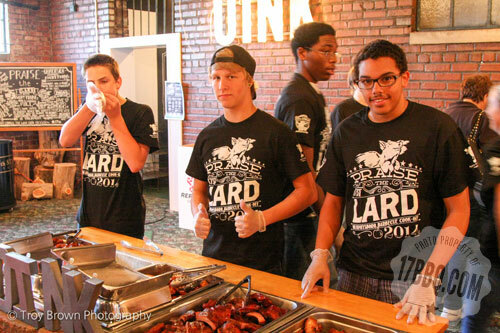 Key Club volunteers helped serve at our Fish Fry and Grand Champion Buffet. 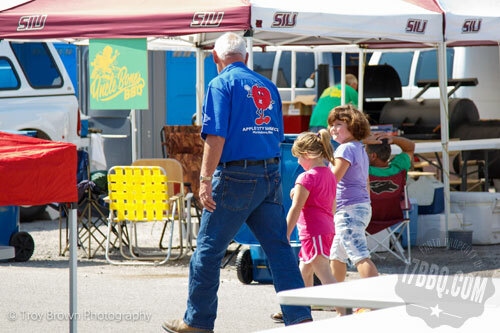 We really appreciate their help and it’s a great way for them to get involved in community events. 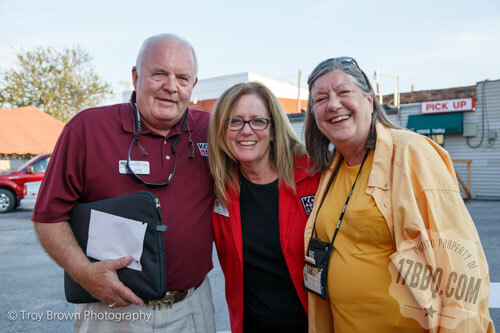 Debby and Bill Gage and Carolyn Wells are our ace KCBS reps, overseeing the KCBS side of the contest. 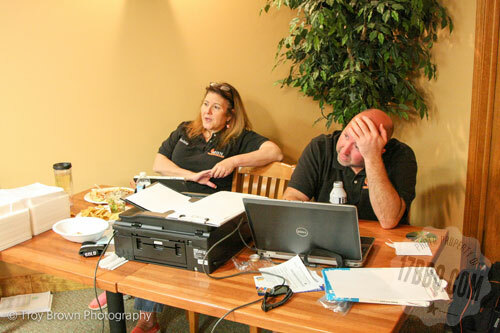 Melzie Wilson and Rollie Williams, our ace Memphis Barbecue Network reps, keep things running smoothly on the MBN judging side. 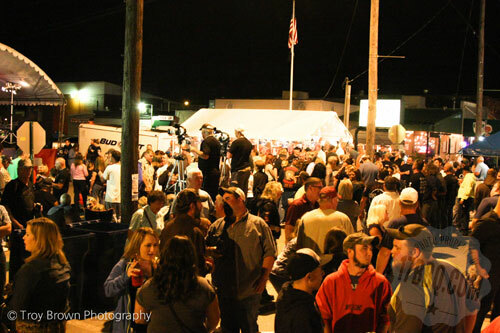 The live music and street dance draw big crowds. 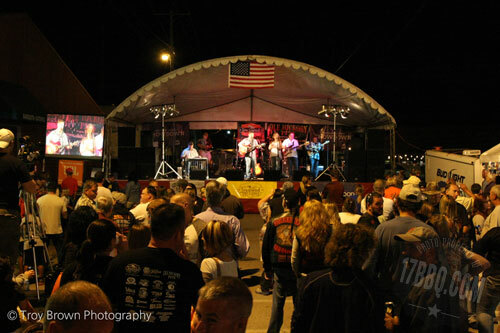 The band was Jackson Junction, a Southern Illinois favorite. 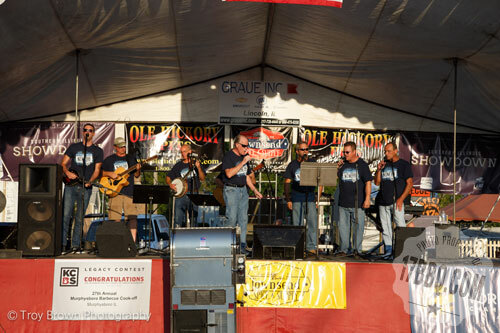 On Saturday, after the judging, Nine88, a local bluegrass/folk band, provided entertainment on the stage. 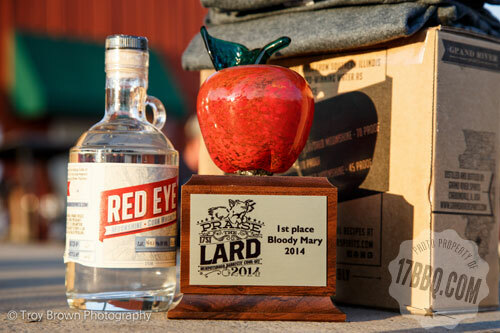 We partnered with the Brews Brothers Taproom and Grand River Spirits to hold a Bloody Mary Contest. 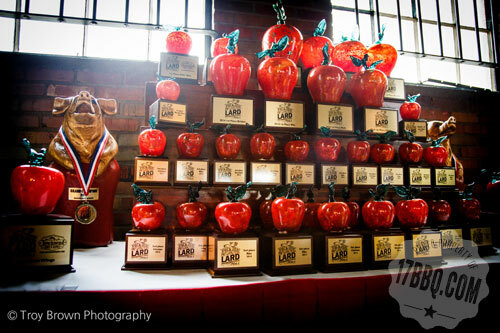 The winner received an apple trophy, along with some moonshine and other gifts. 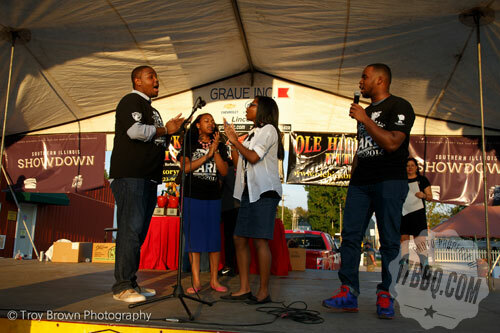 Just before the award ceremony, the St. Louis Praise team performed a rousing rendition of gospel songs, cleverly peppered with references to barbecue. We can’t wait to welcome them back this September. 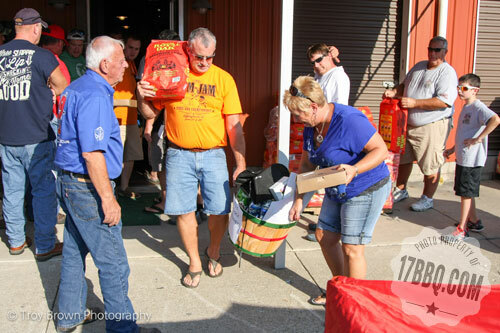 The 2015 contest dates are September 24-26, 2015. Forms will be up on our website shortly. We’ll also be a super qualifier for the World Food Championships, and there are a few more fun things coming down the pike. Stay tuned for more details!